In this guide go through the top 10 best Ad networks for gaming sites apart from best ad networks to make money online. Most gaming bloggers use ad networks that don’t need ad clicks to earn. And since gaming websites are quite specific in their content, it’s crucial for them to seek Ad networks that have ads pertaining to gaming for them to display. There are several top advertising networks that gaming web publishers can seek publishing permission from. While both the PPC and CPM rates are quite high for gaming ad-networks, visitor traffic and Alexa rank are factored in for approval. GameCpm usually displays very good quality ads, using search keywords to place them. It offers all- CPC, CPM and PPV ads and has top gaming advertisers like emzi, freegames, hx8 and palyn in its kitty. While CPC rates you get could vary on advertiser type PPV rates differ depending on type of traffic. If your website has unique and good quality content and an Alexa rank less than 500,000 you can apply with them. With GameCpm a maximum of 3 ads can be placed on every page. The minimum payout is $10 through Paypal and there’s a 5% referral-lifetime commission. Maximize your earnings with Ad4game, a pure gaming ad network that approves sites with minimum 10,000 daily visits and offers different ad formats like Skin ads, pop-unders, Flash Ingame ads etc. It gives CPM rate up to $15 with approval given within 6-7 days. The payout is processed on NET 30 basis. Providing a very high CTR rate for publishers of tier 1 countries, Ad2game is a Germany based ad-network with quality gaming advertisers on its client roll. As a publisher with Ad2game you get CPC, CPM and CPA campaigns globally but you approval criteria is minimum 25,000 page impressions monthly. Not much behind in the race, CpmStar is great for gaming websites since it focuses exclusively on providing ads from gaming advertisers. There’s no minimum requirement for CpmStar and payment is done on Net30 basis with minimum payout being $1. 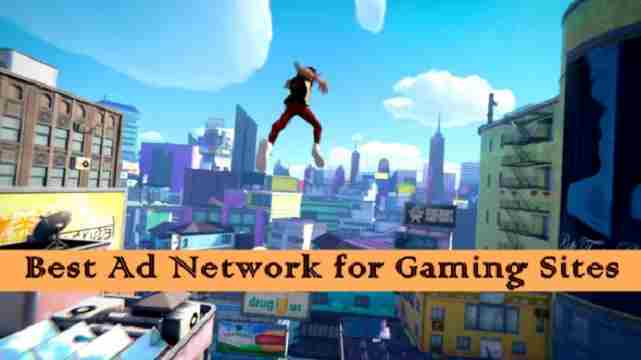 Great ad network for Gaming bloggers! Making it easy for blogging and developing publishers to earn well through online advertising, Intergi offers a 100% fill-rate through global and quality advertisements. It gives you 3 ad formats- mobile, video and display and has top gamers like Nixon and Blizzard as client. A world leader in performance-marketing since 2003, MotiveInteractiveMedia works with more than a 100 advertisers- most of them being gaming specific, offering their CPC, CPM and CPA campaigns. Arguably amid the best gaming ad networks Adsense provides ads targeting a global audience. Gaming specific advertisers can be targeted on Adsense interface, to earn better. This one is a specialist ad-network which focuses on entertainment ads. There’s no restriction with Viral Adnetwork for publishers with free domains and you also get ads from top brands or ad agencies. Most ads are video ads played via Syndicate player and the minimum payout comes to 50 Euros. Payment standards vary and there’s no traffic requirement but your blog/site should be quality-assured. For any CPM, CPC or CPV ad network review, we cover them up at YogeshKhetani.com.